Up In Smoke Wilmington is a small footprint smoke shop, often referred to as the best head shop in the coastal carolinas! We are Open 11am-11pm 7-days a week. 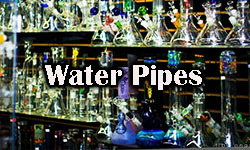 Up In Smoke is your one-stop shop for the finest selection of local and national hand blown glass pipes and water pipes! We are conveniently located on South College Road in Wilmington NC. Stop in 7 days a week to visit with our knowledgeable staff, and you will quickly see why shopping with us is beyond compare! Our number one goal is your complete customer satisfaction through the Up In Smoke Experience... meaning you have fun with us when you come in, and you leave the store feeling educated about the products you purchased. 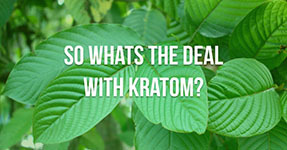 Plus you know that you made the best buying decision possible, and you received the newest technology, highest quality products available on the market! 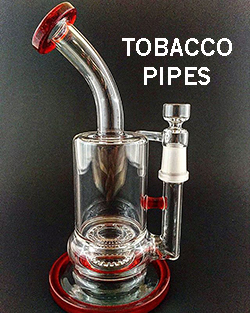 We carry Glass hand pipes, tobacco pipes, wooden pipes, metal pipes, hand blown glass water pipes, incense, candles, cigars, tobacco accessories, Kratom, tobacco alternatives, CBD (Hemp Oil) Edibles, concentrates, drinks, e-liquids, cigarettes, health and detox drinks, capsules, fetish, cigarillos, wraps, titanium nails, parts, vaporizers, vape accessories, tobacco grinders and rollers, and novelty gifts. Up In Smoke, Smoke Shop only sell glass pipes that are made with care and love from artists across America. Each piece, even down to the smallest pocket-size pieces, is unique. Each of the hand-blown pieces that we carry in our stores is made by amazing American artists. Our glass selection cannot be compared to pieces in any other smoke shop in Wilmingtin, North Carolina or around the country, and that’s something we pride ourselves on. We make sure that every one of our glass pipes is not only Unique, but also made to last. Head in to our local store conveiently located near UNCW and put our pipes to the test. Trust us, you’ll be happy with what you find and you will most definitely want to tell everyone you know about all of the glass gems that Up In Smome Smoke Shop have stocked and collected. Our pieces are more than just tobacco pipes and water pipes; they are works of glass art. Come see for yourself! It’s like a candy store, but all glass! Centrally Located on the corner of Kerr and S. College Rd. © 2010 Up In Smoke Inc. All Rights reserved.